This handsome five bedroom detached house provides generous accommodation across three floors. Downstairs, there is a large kitchen/dining room and a living room with bay window. Both have direct access to the garden via double doors. There is also a cloakroom off the entrance hall. 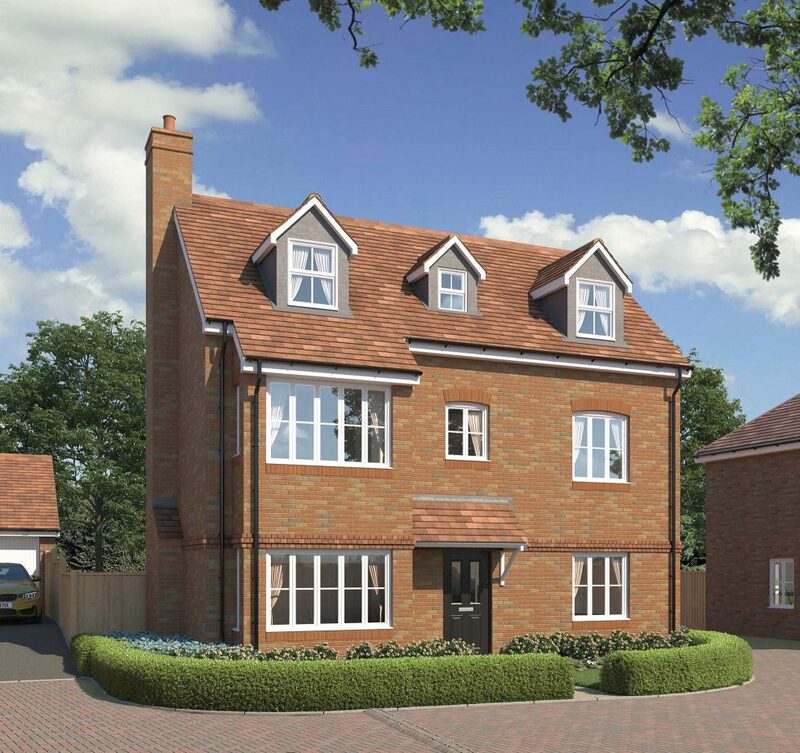 There are three bedrooms, including the master with en suite shower room and fitted wardrobe, family bathroom and separate study on the first floor. Above that, two more bedrooms and a shower room reside on the second floor, all with dormer windows. Layout to plot 63 as shown. 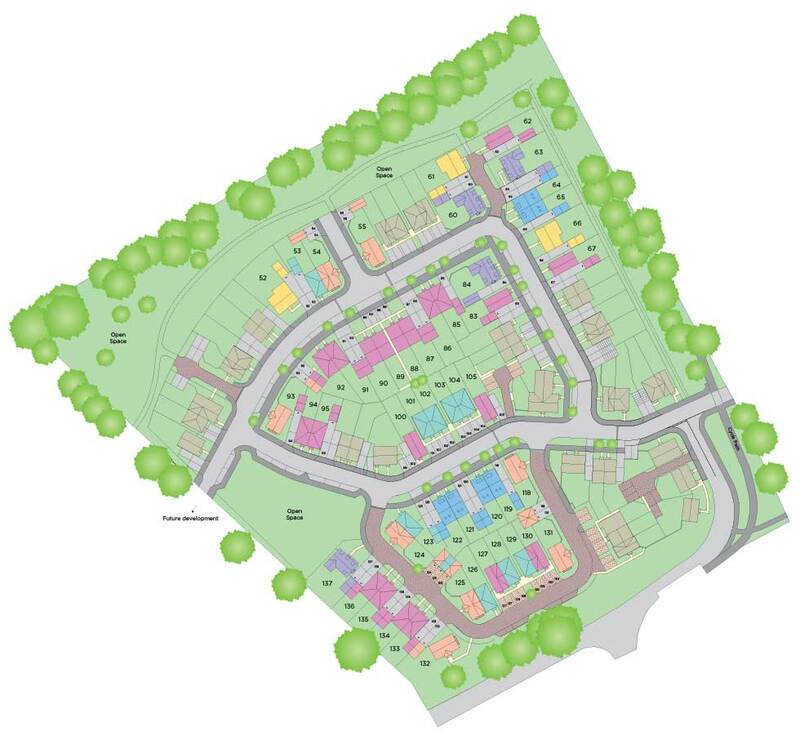 Plots 60, 84, 137 handed.